Once again XL2LETTERS announces the drop of another hot single off the Se7en Ep, this time to celebrate this 30th birthday. His new single is a beautiful and seamless blend of soulful worship and smooth hip hop. The song is akin to his song 'Like a Drug' on his former mixtape 'The Grace Alone Mixtape'. The track is aptly named HANDS TO THE SKY, which describes the physical hand motion of one who has surrendered all in worship to his creator and saviour Jesus Christ. 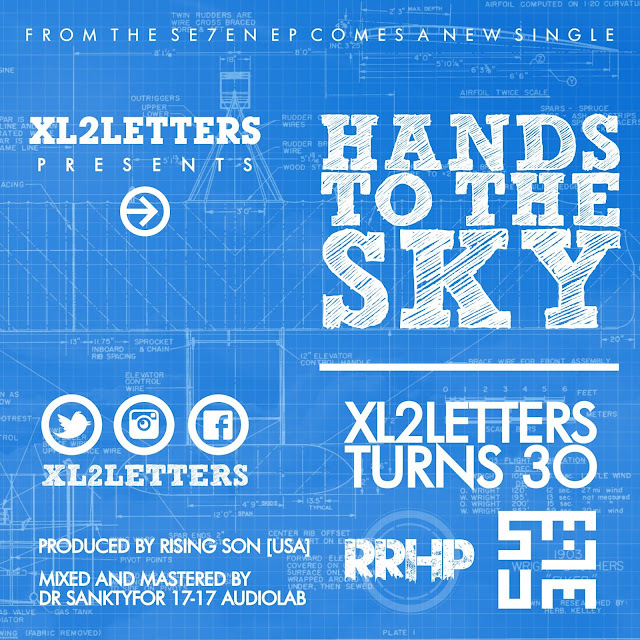 The Song also drops on XL2LETTERS 30th birthday [August 12th 2015]. Such is the chorus of this song, which depicts a pure balance of worship and rap music. The beat was produced by RISING SON [USA] and was recorded mixed and mastered by Dr SANKTY for 17-17 AUDIO LAB. THE TRACK IS SET TO BE RELEASED TO ON THE 12TH OF AUGUST 2015. The track is another Single off THE SE7EN EP whose release date is yet to be specified by XL2LETTERS.